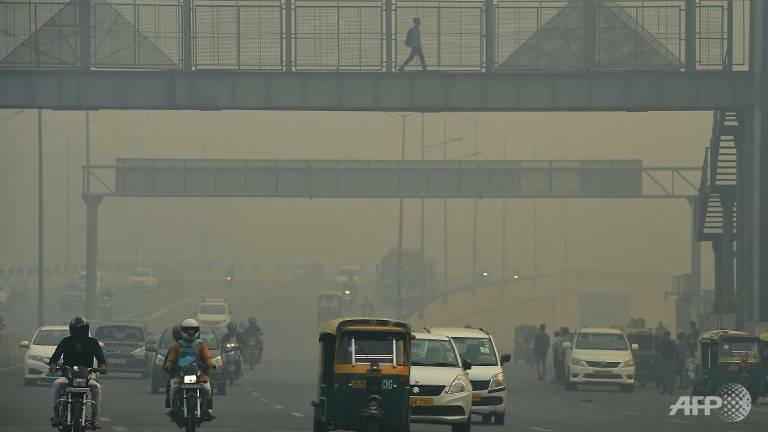 Air pollution in New Delhi hit hazardous levels Thursday (Nov 8) after a night of free-for-all Diwali fireworks, despite Supreme Court efforts to curb the smog-fuelling partying. Early morning ambient air quality readings in Delhi - the world's most polluted major city, according to the World Health Organization - touched 526, according to the US embassy in the city which independently monitors pollution levels. The Supreme Court ruled last month that only environmentally friendly crackers - that emit less smoke and soot - can be sold in Delhi, in a bid to cut the smog that has scarred the city's international reputation. 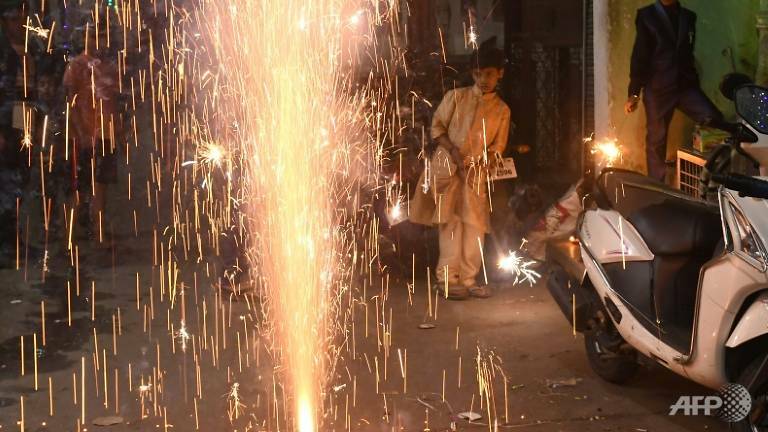 The court also ruled that firecrackers could only be set off between 8 pm and 10 pm, but their bangs were still reverberating around city neighbourhoods well after midnight. "For a few moments of enjoyment people are willing to endanger the planet. It is insane," Pranav Yadav, a 19-year-old student wearing a pollution mask as he headed for a metro train, said. Levels of PM2.5 - fine particles linked to higher rates of chronic bronchitis, lung cancer and heart disease - have soared since last month when farmers in Punjab and other nearby states started to burn post-harvest crop residue. In 2016, Diwali festivities raised pollution levels to their highest in nearly two decades - forcing the closure of schools and other emergency measures.